As a general election loomed, with Labour in visible disarray, Margaret Thatcher moved within a couple of months from being one of the least popular prime ministers ever to being an unassailable national heroine. This was the result of two ‘factors’, the struggle for power within the Labour Party, which (as I wrote about in the first part of this article) began with Callaghan’s decision to step down as its leader in the autumn of 1980, and the Falklands Crisis and War of 1982. Labour’s Civil War began with constitutional arguments about whether MPs should be able to be sacked by their local constituency parties. It became nasty, personal, occasionally physical, and so disgusted those outside its ranks that the party almost disappeared as an effective organisation. Undoubtedly, there was widespread bitterness on the left of the party about what were considered to be the right-wing policies of the defeated Wilson-Callaghan government, and about the small number of party conference decisions which found their way into Labour’s manifesto at the May 1979 election. In this atmosphere, the left wanted to take power away from right-wing MPs and their leadership and carry out a revolution from below. They believed that if they could control the party manifesto, the leadership election and bring the MPs to heel, they could turn Labour into a radical socialist party which would then destroy Thatcher’s economics at the next general election. At Labour’s October 1980 Blackpool Conference, the left succeeded in voting through resolutions calling for Britain to withdraw from the European Community, unilateral disarmament, the closing of US bases in Britain, no incomes policy and State control of the whole of British industry, plus the creation of a thousand peers to abolish the House of Lords. Britain would become a kind of North Sea Cuba. The Trotskyite Militant Tendency, which had infiltrated the Labour Party, believed in pushing socialist demands so far that the democratic system would collapse and a full-scale class war would follow. Tony Benn, who thought that their arguments are sensible and they make perfectly good rational points, saw Militant as no more than of a threat than the old Tribune group or the pre-war Independent Labour Party. He thought that the left would bring about a thoroughly decent socialist victory. In fact, thuggish intimidation in many local Labour parties by Militant supporters was driving moderate members away in droves. Many mainstream trade unionists went along with Militant, feeling let down by the Wilson and Callaghan governments. So too did those who were driven by single issues, such as nuclear disarmament. Shrewd tactics and relentless campaigning enabled a small number of people to control enough local parties and union branches to have a disproportionate effect in Labour conference votes, where the huge, undemocratic block votes of the trades unions no longer backed the leadership. At the 1980 Conference, the left won almost every important vote, utterly undermining Callaghan, who quit as leader two weeks later. Since new leadership election rules would not be in place until a special conference the following January, Labour MPs had one final chance to elect their own leader. Michael Foot, the old radical and intellectual, was persuaded to stand. Benn would stand no chance against him, especially since he had now allied himself with the Trotskyists who were attacking the MPs. But Foot was a great parliamentarian and was considered to be the only candidate who could beat Denis Healey, by now the villain of the piece for the Labour left. Healey had already highlighted the fatal flaw in their strategy which was that if they did take over the Labour Party, the country wouldn’t vote for it. Activists, he told them, were different from the vast majority of the British people, for whom politics was something to think about once a year at most. His robust remarks about what would later be called ‘the loony left’ were hardly calculated to maximise his chances, despite his popularity in the country at the time. At any rate, he was eventually beaten by Foot by 139 votes to 129. Many believe that Foot was the man who saved the Labour Party since he was the only leader remotely acceptable to both the old guard and the Bennite insurgents. He took on the job out of a sense of duty, with his old-style platform oratory. He was always an unlikely figure to topple Margaret Thatcher, the ‘Iron Lady’. It was the last blast of romantic intellectual socialism against the free market. At the special party conference, Labour’s rules were indeed changed to give the unions forty per cent of the votes for future Labour leaders, the activists in the constituencies thirty per cent, and the MPs only thirty per cent. Labour’s struggle now moved to its next and most decisive stage, with the left in an exuberant mood. It was decided that Benn must challenge Healey for the deputy leadership the following year. This would signal an irreversible move. A Foot-Benn Labour Party would be a fundamentally different one from a party in which Healey continued to have a strong voice. Both sides saw it as the final battle and ‘Benn for Deputy’ badges began to appear everywhere. Benn went campaigning around the country with verve and relentless energy. I heard him speak impressively at the Brangwyn Hall in Swansea, though his analysis of the problems in the British economy was far stronger than the solutions he proposed. At public meetings, Healey was booed and heckled and spat at. The intimidation of anyone who would not back Benn was getting worse, though Benn himself was apparently unaware of what was being said and done in his name. Neil Kinnock eventually decided that he would support neither Benn nor Healey, announcing his decision in Tribune. As education spokesman, he had been gradually moving away from the hard left, while continuing to support his neighbouring south Wales and fellow-Bevanite MP and now party leader, Michael Foot. Popular in the party, he was regarded with increasing suspicion by Tony Benn. But this open break with the left’s ‘champion’ shocked many of his friends. At the Brighton conference, Benn was narrowly beaten by Healey, by less than one per cent of the votes. Neil Kinnock and Arthur Scargill clashed angrily on television, and a young Jeremy Corbyn openly called for the mandatory deselection of Tribune MPs who had refused to back Benn. This next phase was too much for those who were already planning to break away and form a new party. Roy Jenkins had already mooted the idea before the Bennite revolt, as he contemplated the state of the British party system from his offices in Brussels, where he was President of the European Commission. He argued that the Victorian two-party system was out-dated and that coalition government was not such a bad thing. It was time, he said, to strengthen the ‘radical centre’ and find a way through the economic challenges which accepted the free market but also took unemployment seriously. Although he was in touch with David Steel, the Liberal leader, and was close to Liberal thinking, he judged that only a new party would give British politics the new dimension it needed. He began holding lunches for his old friends on the right of the Labour Party, including Bill Rodgers, still a shadow cabinet member, and Shirley Williams, who had lost her seat but who remained one of the best-liked politicians in the country. At this stage, the public reaction from Labour MPs was discouraging. Williams herself had said that a new centre party would have no roots, no principles, no philosophy and no values. David Owen, the young doctor and former Foreign Secretary, who was now fighting against unilateral nuclear disarmament, said Labour moderates must stay in the party and fight even if it took ten or twenty years. The Bennite revolt changed many minds, however. After the Wembley conference, at which Owen was booed for his views on defence, he, Jenkins, Williams and Rodgers issued the ‘Limehouse Declaration’, describing Wembley as ‘calamitous’ and calling for a new start in British politics. Two months later, this was formalised as the ‘Social Democratic Party’ (SDP) two months later, in March 1981. In total thirteen Labour MPs defected to it and many more might have done so had not Roy Hattersley and others fought very hard to persuade them not to. Within two weeks, twenty-four thousand messages of support had flooded in and peers, journalists, students, academics and others were keen to join. Public meetings were packed from Scotland to the south coast of England, and media coverage was extensive and positive. In September an electoral pact was agreed with the Liberal Party, and ‘the Alliance’ was formed. After running the Labour Party close in the Warrington by-election, the SDP won their first seat when Shirley Williams took Crosby from the Conservatives in November, with nearly half the votes cast, followed by Jenkins winning Glasgow Hillhead from the Tories the following year. His victory allowed Jenkins to become the leader of the party in the Commons, but David Owen had always believed that leadership was more rightly his and feared that Jenkins was leading the SDP towards a merger with the Liberals. Owen saw himself still as a socialist, although of a new kind. By the early eighties, the Liberal Party was led by Steel, ‘the boy David’ who was looking for a route back from the Thorpe scandal to the centre ground. The alliance with the SDP provided this, but Owen was not alone in despising the Liberals and the eventual merger between the two parties was bitter and difficult. Nevertheless, the initial upsurge in the SDP’s support shook both the Labour Party and the Conservatives and by the early spring of 1982, the SDP and Liberals could look forward with some confidence to breaking the mould of British politics. One of the many ironies of the Thatcher story is that she was rescued from the political consequences of her monetarism by the blunders of her hated Foreign Policy. In the great economic storms of 1979-81, and on the European budget battle, she had simply charged ahead, ignoring all the flapping around her in pursuit of a single goal. In the South Atlantic, she would do exactly the same and with her good luck, she was vindicated. Militarily, it could so easily have all gone wrong, and the Falklands War could have been a terrible disaster, confirming the Argentinian dictatorship in power in the South Atlantic and ending Margaret Thatcher’s career after just one term as Prime Minister. Of all the gambles in modern British politics, the sending of a task force of ships from the shrunken and underfunded Royal Navy eight thousand miles away to take a group of islands by force was one of the most extreme. On both sides, the conflict derived from colonial quarrels, dating back to 1833, when the scattering of islands had been declared a British colony. In Buenos Aires, a newly installed ‘junta’ under General Leopoldo Galtieri was heavily dependent on the Argentine navy, itself passionately keen on taking over the islands, known in Argentina as the Malvinas. The following year would see the 150th anniversary of ‘British ownership’ which the Argentines feared would be used to reassert the Falklands’ British future. The junta misread Whitehall’s lack of policy for lack of interest and concluded that an invasion would be easy, popular and impossible to reverse. In March an Argentine ship ‘tested the waters’ by landing on South Georgia, a small dependency south of the Falklands, disembarking scrap-metal dealers. Then on 1 April, the main invasion began, a landing by Argentine troops which had been carefully prepared for by local representatives of the national airline. In three hours it was all over, and the eighty British marines surrendered, having killed five Argentine troops and injured seventeen with no losses of their own. In London, there was mayhem. Thatcher had had a few hours’ warning of what was happening from the Defence Secretary, John Nott. Calling a hurried meeting in her Commons office, Sir John Leach gave her clarity and hope, when her ministers were as confused as she was. He told her he could assemble a task-force of destroyers, frigates and landing craft, led by Britain’s two remaining aircraft carriers. It could be ready to sail within forty-eight hours and the islands could be retaken by force. She told him to go ahead. Soon after, the Foreign Secretary, Peter Carrington, tended his resignation, accepting responsibility for the Foreign Office’s failings. But Margaret Thatcher was confronted by a moral question which she could not duck, which was that many healthy young men were likely to die or be horribly injured in order to defend the ‘sovereignty’ of the Falkland Islanders. In the end, almost a thousand did die, one for every two islanders and many others were maimed and psychologically wrecked. She argued that the whole structure of national identity and international law were at stake. Michael Foot, who had been bellicose in parliament at first, harking back to the appeasement of fascism in the thirties, urged her to find a diplomatic answer. Later she insisted that she was vividly aware of the blood-price that was waiting and not all consumed by lust for conflict. Thatcher had believed that from the start that to cave in would finish her. The press, like the Conservative Party itself, were seething about the original diplomatic blunders. As it happened, the Argentine junta, even more belligerent, ensured that a serious deal was never properly put. They simply insisted that the British task-force be withdrawn from the entire area and that Argentine representatives should take part in any interim administration and that if talks failed Britain would simply lose sovereignty. The reality, though, was that their political position was even weaker than hers. She established a small war cabinet and the task-force, now up to twenty vessels strong was steadily reinforced. Eventually, it comprised more than a hundred ships and 25,000 men. The world was both transfixed and bemused. Above: Royal Marines march towards Port Stanley during the Falklands War. The Empire struck back, and by the end of the month South Georgia was recaptured and a large number of Argentine prisoners taken: Thatcher urged questioning journalists outside Number Ten simply to ‘rejoice, rejoice!’ Then came one of the most controversial episodes in the short war. A British submarine, The Conqueror, was following the ageing but heavily armed cruiser, the Belgrano. The British task-force was exposed and feared a pincer movement, although the Belgrano was later found to have been outside an exclusion zone announced in London, and streaming away from the fleet. With her military commanders at Chequers, Thatcher authorised the submarine attack. The Belgrano was sunk, with the loss of 321 sailors. The Sun newspaper carried the headline ‘Gotcha!’ Soon afterwards, a British destroyer was hit by an Argentine Exocet missile and later sunk. Forty died. My first encounter with a really low point was when they wheeled me into the transit hospital at RAF Lyneham and I passed my mother in the corridor and she said to my gran, “Oh mam, look at that poor boy” and I cried out “Mam, it’s me!” As she recognised my voice her face turned to stone. The trauma of the Falklands War broke across Britain, nowhere more strongly than in Wales. The impact on Wales was direct, in the disaster to the Welsh Guards at Bluff Cove and in anxieties over the Welsh communities in Patagonia in Argentina. Plaid Cymru was the only mainstream party to totally oppose the war from the beginning, and it evoked a strong response among artists in Wales. Students from the Welsh College and Drama in Cardiff staged a satirical drama on the war which won many plaudits. They portrayed the war as a mere butchery for a meaningless prize. Veteran Labour MP Tam Dalyell hounded the Prime Minister with parliamentary questions as he sought to prove that the sailors on the Belgrano had been killed to keep the war going, not for reasons of military necessity. One of the few memorable moments of the 1983 election campaign came when Mrs Thatcher was challenged on television about the incident by a woman who seemed a match for her. Among the Labour leadership, Denis Healey accused her of glorifying in slaughter and Neil Kinnock got into trouble when, responding to a heckler who said that at least Margaret Thatcher had guts, he replied that it was a pity that other people had had to leave theirs on Goose Green to prove it. But there had also been those on the left who supported the war, together with Michael Foot, because of their opposition to the Argentine dictatorship, and there is little doubt that it gave a similar impetus to British patriotism across the political spectrum. It also bolstered a more narrow nationalism, jingoism and chauvinism both in the Conservative party and in the media. We have ceased to be a nation in retreat. We have instead a newfound confidence, born in the economic battles at home and found true eight thousand miles away … Printing money is no more. Rightly this government has abjured it. Increasingly the nation won’t have it … That too is part of the Falklands factor. … Britain found herself again in the South Atlantic and will not look back from the victory she has won. Of course, the Falklands War fitted into Margaret Thatcher’s personal narrative and merged into a wider sense that confrontation was required in public life country’s politics. The Provisional IRA had assassinated Lord Mountbatten on his boat off the coast of Donegal in 1979 and the mainland bombing campaign went on with attacks on the Chelsea barracks, then Hyde Park bombings, when eight people were killed and fifty-three injured. In Northern Ireland itself, from the spring of 1981, a hideous IRA hunger-strike had been going on, leading to the death of Bobby Sands and nine others. Thatcher called Sands a convicted criminal who chose to take his own life. It was a choice, she added, that the PIRA did not allow to any of its victims. She was utterly determined not to flinch and was as rock-hard as the ruthless Irish republican enemies. Thatcher was now becoming a vividly divisive figure. On one side were those who felt they, at last, had their Boudicca, a warrior queen for hard times. On the other were those who saw her as a dangerous and bloodthirsty figure, driven by an inhumane worldview. To the cartoonists of the right-wing press, she was the embodiment of Britannia, surrounded by cringing ‘wets’. To others, she was simply mad, with a sharply curved vulture’s beak nose, staring eyes and rivets in her hair. Gender-confusion was rife. France’s President Mitterrand, who in fact had quite a good relationship with her, summed up the paradox better than any British observer when, after meeting her soon after his own election, he told one of his ministers, She has the eyes of Caligula but she has the mouth of Marilyn Monroe. The Falklands War confirmed and underlined these opposing and paradoxical views of Thatcher. She encouraged the government’s think tank, the Central Policy Review Staff, to come up with a paper about the future of public spending. They came up with a manifesto which could be characterised as ‘Margaret Thatcher unconstrained’. They suggested ending state funding of higher education, extending student loans to replace grants, breaking the link between benefits and the cost of living, and replacing the National Health Service with a system of private health insurance, including charges for doctor’s visits and prescriptions. In effect, this represented the end of Attlee’s Welfare State. Although some of these ideas would become widely discussed much later, at the time the prospectus was regarded as ‘bonkers’ by most of those around her. The PM supported it but ministers who regarded it as, potentially, her worst mistake since coming to power, leaked the CPRS report to the press in order to kill it off. In this they were successful, but the whole episode was an early indication of how Thatcher’s charge-ahead politics could produce disasters as well as triumphs. The electoral consequences of the Falklands War have been argued about ever since. The government had got inflation down and the economy was at last improving but the overall Conservative record in 1983 was not impressive. The most dramatic de-industrialisation of modern times, with hundreds of recently profitable businesses disappearing forever, had been caused in part by a very high pound boosted by Britain’s new status as an oil producer. Up to this point, unemployment had been seen as a price worth paying in order to control inflation, but the extent of de-manning required by 1983 had been underestimated. Howe’s economic squeeze, involving heavy tax increases and a reduction in public borrowing deflated the economy, reducing demand and employment. In the 1980s, two million manufacturing jobs disappeared, most of them by 1982. Given the shrinking of the country’s industrial base and unemployment at three million, a total tax burden of forty per cent of GDP and public spending at forty-four per cent, there were plenty of targets for competent Opposition politicians to take aim at. In an ordinary election, the state of the economy would have had the governing party in serious trouble, but this was no ordinary election. After the war, the Conservatives shot into a sudden and dramatic lead in the polls over the two Opposition groupings now ranged against them. In the 1983 general election, the SDP and the Liberals took nearly a quarter of the popular vote, but the electoral system gave them just twenty-three MPs, only six of them from the SDP, a bitter harvest after the advances made in the by-elections of 1981-2. Labour was beaten into third place in the number of votes cast. This meant that the Conservatives won by a landslide, giving Mrs Thatcher a majority of 144 seats, a Tory buffer which kept them in power until 1997. It would be perverse to deny that the Falklands conflict was crucial, giving Thatcher a story to tell about herself and the country which was simple and vivid and made sense to millions. But there were other factors in play, ones which were present in the political undercurrents of 1981-2 and the divisions within the Labour Party in particular. For one thing, the Labour Party’s Manifesto at the 1983 Election, based on the left-wing Conference decisions of 1980-82, was later considered to be the longest suicide note in history. In Wales, we had expected that the calamitous effect of the monetarist policies would produce a surge in support for Labour and that the effect of the Falklands factor would not weigh so heavily in the Tories’ favour as elsewhere in Britain. We were wrong. Moreover, we believed that the efforts we had made on the left-wing of the national movement in association with Welsh language activists, libertarian socialist groups, ecological, peace and women’s groups would bring dividends in electoral terms. But, in the Wales of 1983, these remained marginal movements as the country remained, for the most part, locked into the British two-party system. The General Election of 1983 exposed the myth that South Wales, in particular, was still some kind of ‘heartland of Labour’ and continued the trend of 1979 in relocating it within the South of the British political landscape. In Wales as a whole, the Labour vote fell by nearly ten per cent, exceeded only in East Anglia and the South-East of England, and level with London again. The Labour vote in Wales fell by over 178,000, the Tories by 24,000 (1.7 per cent), the great ‘victors’ being the Alliance, whose votes rocketed by over two hundred thousand. This surge did not, however, benefit the third parties in terms of seats, which simply transferred directly from Labour to Conservative. They stand like Aneurin Bevan’s memorial stones on the Pound above Tredegar and they are beginning to look like the Stonehenge of Welsh politics. … turned Wales into ‘an analogy for most people’s experience of living in the twentieth century … a special, spare grammar and vocabulary in which certain statements can be made in no other language’. Thomas’ conversion to Welsh language fundamentalism had come rather late in life. In the sixties and seventies, he had remarked that he was rather tired of the themes about nationalism and the decay of the rural structure of Wales and that whereas he used to propagandise on behalf of Welsh Country Life and … the Welsh identity, he felt that he’d wrung that dishcloth dry. In May 1983, the Western Mail had welcomed the poet to Cardiff on the occasion of his seventieth birthday to Cardiff, describing him as a man whose genius found expression in the search for the ancient simplicities of rural Wales. R Gerallt Jones, introducing an evening of celebration at the Sherman Theatre in the capital some days later, acclaimed Thomas as the poet who has expressed the national identity of the Welshman. As Tony Bianchi showed in 1986, Thomas’ work has been used – within the context of a wide range of prescriptive notions concerning the “Welsh heritage” – to condemn most of the Welsh to a marginal existence in which they are permitted only a vicarious identity. That’s what makes R S Thomas’ statement at the 1983 National Eisteddfod so surprising and intriguing. The manufacture and proliferation of myth must always be a major creative activity among a people with unnaturally high expectations reduced by historic necessity … In Wales history and myth have always mingled and both have been of equal importance in the struggle for survival. Ahead, a country which largely lives by the British state, whose input into it is ten per cent of its gross product, faces a major reconstruction of its public sector … a country whose young people are being dumped like in town and country faces the prospect of a large and growing population which will be considered redundant in a state which is already considering a major reduction in the financial burden of welfare. Small wonder that some, looking ahead, see nothing but a nightmare vision of a depersonalised Wales which has shrivelled up to a Costa Bureaucratica in the south and a Costa Geriatrica in the north; in between, sheep, holiday homes burning merrily away and fifty folk museums where there used to be communities. … What seems to be clear is that a majority of the inhabitants of Wales are choosing a British identity which seems to require the elimination of a Welsh one. As it happened, Dai Smith was right. The idea that ‘Britishness’ and ‘Welshness’ were mutually exclusive was indeed a myth, and both were able to survive as dual identities into the later eighties and beyond. By the late 1970s, the British motor industry had reached an historic crossroads. Entry into the EEC had coincided with an unusually weak range of British products. Models were either outdated or bedevilled by quality and reliability problems. European manufacturers soon captured nearly forty per cent of the home market. The choice facing British manufacturers was varied. Those companies owned by American parents integrated their UK operations with their European counterparts. Ford and General Motors are two successful examples of this strategy. Unfortunately for Coventry, the Chrysler Corporation was experiencing problems in many parts of their ’empire’ and did not possess the resources necessary for the establishment of a high-volume European operation. British-owned Leyland faced a more complex situation. The company produced both high-volume and specialist products. The Cowley and Longbridge plants which produced high-volume products badly needed investment to keep up with the European companies and the American subsidiaries. The specialist producers, Jaguar, Rover and Triumph, also required a large injection of capital in order to meet the growing competition from such companies as Audi, BMW, Alfa Romeo and the Scandinavian manufacturers. The various schemes devised by Ryder and the National Enterprise Board underlined Leyland’s commitment to the large and medium volume plants. The announcement of the collaborative agreement with Honda in 1979 to produce a new Japanese designed quality saloon at Canley was seen by many as an end to uncertainty over Leyland’s long-term commitment to Coventry. The change of government in 1979 soon quashed the cautious optimism that had been present in the local car industry. The Conservative economic strategy of high-interest rates overvalued the pound, particularly in the USA, the major market for Coventry’s specialist cars. Demand for Coventry models declined rapidly and Leyland management embarked upon a new rationalisation plan. The company’s production was to be concentrated into two plants, at Cowley and Longbridge. Triumph production was transferred to Cowley along with the Rover models produced at Solihull. The Courthouse Green engine plant in Coventry was closed and three of the city’s other car-manufacturing concerns – Alvis, Climax and Jaguar – were sold off to private buyers. Only Jaguar survived the recession. In the first three years of the Thatcher government, the number of Leyland employees in Coventry fell from twenty-seven thousand to just eight thousand. One writer described the effects of Conservative policy on manufacturing industry in these years as turning a process of gentle decline into quickening collapse. The city’s top fifteen manufacturing companies shed thirty-one thousand workers between 1979 and 1982. Well-known names at the base of the pyramid of Coventry’s economic life – Herbert’s, Triumph Motors and Renold’s – simply disappeared. Even in 1979, before the change in government, unemployment in Coventry stood at just five per cent, exactly the same level as in the early seventies. There was a noticeable rise in youth unemployment towards the end of the decade, but this, as we have seen, was part of a national problem caused mainly by demographic factors. Neither was the election of the Tory government seen as a harbinger of hard times to come. Coventry had prospered reasonably well during previous Tory administrations and even enjoyed boom conditions as a result of the policies of Anthony Barber, Heath’s Chancellor of the Exchequer. Heath had ridden to the rescue of Rolls-Royce when it needed government assistance. Unfortunately, the economic brakes were applied too rapidly for the car industry and monetarist policy quickly cut into it. Redundancy lists and closure notices in the local press became as depressingly regular as the obituary column. The biggest surprise, however, was the lack of protest from the local Labour movement. It was as if all the ominous prophecies of the anti-union editorials which had regularly appeared in the Coventry Evening Telegraph during the industrial unrest of the previous decades were finally being fulfilled. In any case, it was difficult to devise defensive industrial strategies. 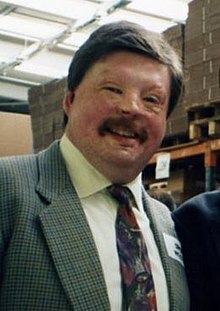 Michael Edwardes’ new tough industrial relations programme at British Leyland had seen the removal of Derek Robinson, ‘Red Robbo’, the strongest motor factory union leader from Longbridge. He also demonstrated, at Speke in Liverpool, that he could and would close factories in the face of trade union opposition. Factory occupations, used to such effect by continental trades unionists had, thanks to the Meriden Triumph Motorcycle fiasco, no chance of local success. The opposition to closures was also undoubtedly diminished by redundancy payments which in many cases cushioned families from the still unrealised effects of the recession. Young people, especially school- leavers, were the real victims. Coventry’s much-prized craft apprenticeships all but vanished, with only ninety-five apprentices commencing training in 1981. In 1982, only sixteen per cent of sixteen-year-old school leavers found employment. The early 1980s were barren years for Coventry’s youth. Even the success of the local pop group, The Specials’, brought little relief, though for a brief moment the band’s song Ghost Town was a national success, giving vent to the plight of young people throughout the manufacturing towns of the Midlands and the North of England, not to mention Wales. The sombre comparison in the lyrics of boom time and recession express an experience that was felt more sharply in Coventry than elsewhere. Coventry in the mid 1980s displays none of the confidence in the future that was so apparent in the immediate post-war years. . The city, which for decades was the natural habitat of the affluent industrial worker is finding it difficult to adjust to a situation where the local authority and university rank among the largest employers. Coventry’s self-image of progressiveness and modernity has all but vanished. The citizens now largely identify themselves and their environment as part of a depressed Britain. This was a sad contrast to the vibrant city of full employment in which my mother had grown up in the thirties and forties and where she had met and married my father in the early fifties. By the time I returned there as a teacher, from a former mill town in Lancashire in 1986 which had recovered from its own decline in the sixties and seventies, Coventry was also beginning to recover, but the shiny new comprehensive schools built thirty years before were already beginning to merge and close due to these years of recession, unemployment and outward migration. Thatcher’s government of 1979-83 was not the return of ‘Victorian Val’, a revival of Gladstonian liberalism, nor even of the Palmerstonian gunboat imperialism which it sometimes resembled in its rhetoric. It was more of a reversion to the hard-faced empire of the 1920s when war socialism was energetically dismantled, leaving industries that could survive and profit to do so and those which couldn’t to go to the wall. As in the twenties, resistance to brutal rationalisation through closure or sell-off of uneconomic enterprises, or by wage or job reductions, was eventually to be met by determined opposition in the confrontation of 1984-5 between Thatcher and the NUM, led by Arthur Scargill, a battle comprehensively won by the PM. The trouble with this ‘retro-capitalism’ masquerading as innovation was that sixty years after the policy had first been implemented, the regions that were the weaker species in this Darwinian competition were not just suffering from influenza, but prostrate with pneumonia. They were now being told to drop dead. These included South Wales, Lancashire, the West Riding, Tyneside and Clydeside. Those regions which had risen to extraordinary prosperity as part of the British imperial enterprise were now, finally, being written off as disposable assets in a sale. What interest would the Welsh and Scots, in particular, have in remaining part of Great Britain plc? They were also now being joined by those same manufacturing areas which had provided respite for millions of migrants from the older industrial areas in the thirties, centres such as Coventry. The euphoria felt by the Conservatives following their unexpected second victory in 1983 disguised the fact that their majority was built at the price of perpetuating a deep rift in Britain’s social geography. Not since Edward I in the thirteenth century had a triumphant England imposed its rule on the other nations of Britain. Thatcher’s constituency was not, however, to be found among the engineers of ‘Middle England’ or even the Lincolnshire grocers from whom she hailed, who might have voted for Ted Heath’s ‘Third Way’ Tories. It was overwhelmingly to be found among the well-off middle and professional classes in the south of England, in the Home Counties, or the ‘golden circle’ commuter areas. The distressed northern zones of derelict factories, pits, ports and decrepit terraced houses were left to rot and rust. The solution of her governments, in so far as they had one, was to let the employment market and good old Gladstonian principles of ‘bootstrap’ self-help take care of the problem. People living in areas of massive redundancy amidst collapsing industries ought simply to ‘retrain’ for work in the up-and-coming industries of the future or, in Norman Tebbitt’s famous phrase, “get on their bikes” like their grandfathers had done and move to places such as Milton Keynes, Basingstoke or Cambridge where those opportunities were now clustered. But this vision of ex-welders, or even assembly workers, lining up to use computers was not helped by the absence of such publicly funded retraining. And even if it was available, there was no guarantee of a job at the end of it, no apprenticeship system. The whole point of the computer revolution in industry was to save, not to expand labour. The new jobs it created could, and would be taken by the sons and daughters of the industrial workers of the early eighties, but not by those workers themselves. Finally, the kick-up-the-rear-end effect of the eighties’ Thatcher counter-revolution ran into something that she could do little about; the Coronation Street syndrome. Like the residents of the mythical TV soap opera, millions in the old British industrial economy had a deeply ingrained loyalty to the place where they had grown up, gone to school, got married and had their kids; to their extended family with older generations, to their pub, their parks and hills, to their football or rugby club. In that sense, at least, the post-war social revolution and welfare state had helped to maintain and even develop towns and cities that, for all their ups and downs, their poverty and pain, were real communities. Fewer people were willing to give up on these places than had been the case fifty years earlier, and certainly not on cities like Liverpool, Leeds, Nottingham, Derby and Coventry. But not everything the Thatcher government did was out of tune with social ‘harmony’. The sale of council-houses created an owner-occupier class which corresponded to the long passion of the British to be kings and queens of their own little castles. Nationalised industries were failing to take advantage of enterprise and innovation. But many of these more popular reforms were to come after her confrontation with the miners and especially in her third term. Gwyn A Williams (1985), When Was Wales? A History of the Welsh. Harmondsworth: Penguin Books. Dai Smith (1984), Wales! Wales? Hemel Hempstead: George Allen & Unwin. Bill Lancaster & Tony Mason (1984), Life & Labour in a Twentieth Century City: The Experience of Coventry. Coventry: University of Warwick Cryfield Press. Simon Schama (2002), A History of Britain III, 1776-2000: The Fate of Empire. London: BBC Worldwide. Andrew Marr (2008), A History of Modern Britain. Basingstoke: Macmillan. The Winter of 1947 has gone down in history and personal memory as a time of almost unbearable bleakness. For three months, Britain endured not only the shortages of almost everything in the shops, and a virtual medieval peasant diet, heavily based on potatoes and bread, nor only the huge state bureaucracy bearing down on so much of daily life, with its 25,000 regulations and orders never heard of in peace time before. Neither was it just the smashed and broken homes, and the irreplaceable war dead. The crisis of 1947 was also the product of that most common of British complaints, the unpredictable weather. Towards the end of January, a great freeze had swept across from Siberia and covered the country in thick snow, a bitter cold which brought the exhausted British people very nearly to their knees. The country still ran on coal, newly nationalised under the National Coal Board, but the piles at the pits froze solid and could not be moved. The collieries’ winding gear ceased to function and drifting snow blocked roads and rail lines. At the power stations, the remaining stock piles ran down swiftly until, one by one, the stations were forced to close. Lights went off, men dug through snow drifts, tamping for miles to find food to carry back to their families and neighbours. Cars were marooned on exposed roads. Factories across the Midlands and South of England had to stop work and within a week two million people were idle. Electric fires were banned for three hours each morning and two in the afternoon. As people ran out of coal, they had only blankets to keep them warm. Around London, commuters were unable to reach the capital. Scotland was cut off from England. Government ministers were not immune to the health problems which resulted. Herbert Morrison was nearly killed by thrombosis when new drugs given to him caused his kidneys to pour with blood. While he was still in hospital, Ellen Wilkinson, the education minister who adored him and may have been his mistress, died from an overdose of barbiturates. Wilkinson, a small flame-haired woman who had led the pre-war Jarrow Crusade for most of its length to London, was much-loved in the party, but became increasingly depressed by the slow pace of change, particularly in education. On 25 January, in the middle of the blizzard, she insisted on opening a theatre school in a blitzed, open-to-the-sky building in south London. Ellen became ill and seems to have muddled up her medicines, though others believed she killed herself, out of a mixture of frustrated love and political disappointment. In some ways, her death was symptomatic of the strain Attlee’s government was under. Then things deteriorated further as the coldest February for three hundred years began. Another half million people had to stop work. The sun was so little seen that when it came out, a man rushed to photograph the reassuring sight for the newspapers. The greengrocers ran out of green vegetables. After a short thaw, March brought terrible storms and snow-drifts thirty feet high. There were ice-floes off the East Anglian coast. Three hundred main roads were impassable. These conditions were then followed by the worst floods in living memory, cutting off towns and drowning crops in huge areas of low-lying England. Sheep were dying on the hills, unable to be brought down to lower-lying pastures. Their carcasses had to be burnt in huge pyres, causing foul-smelling smoke to hang over the hillsides of rural Wales. As people were digging out frozen vegetables from fields and despairing of the empty shops, the run on the pound resulting from Keynes’ Washington ‘deal’ and the balance of payments crisis meant that the Treasury was running out of dollars to buy help from overseas. This was the moment when the optimism of 1945 died for many voters. But the summer did come, and it was a good one, the sun blazing away with the cricketers at Lords as the nation sweltered. However, the pound continued to fall dramatically against the dollar, and with the Chancellor, Hugh Dalton, unable to buy food from the USA, secret preparations were made for a ‘famine food programme’ which included a provision to take children out of school to help with the harvest. It was never instigated, but the rationing of bread, which had not been necessary during the war, was put in place, as wheat supplies could no longer be bought from the United States. At the same time, British ministers had to ensure that there was no famine in other parts of the world for which they were responsible, including India, Germany and Palestine. Bread rationing at home was hugely unpopular and long remembered. As Aneurin Bevan’s visit to Coventry had demonstrated, housing was the most critical single social issue of the post-war era, remaining at the top of the political agenda throughout the early fifties. Half a million homes had been destroyed or were made uninhabitable by German air-raids and a further three million were badly damaged. Overall, a quarter of Britain’s 12.5 million homes were damaged in some way. London was a capital with a background of ruins and wrecked streets. Southampton had lost so many buildings that during the war officials reported that the population felt the city was finished and ‘broken in spirit’. Coventry had lost a third of her housing in a single night in the November Blitz of 1940. Birmingham had lost 12,000 houses, with another 25,000 badly damaged. Together with the impact of demobilization of young men eager to marry and start families, the government estimated that 750,000 new houses were needed urgently. In addition, there was a need for further slum clearances in London and the older industrial cities, the grimy terraces lacking proper sanitation, gas and electricity supplies. The demand was for more than bricks and mortar, since the war had separated husbands and wives, deprived children of their parents and, in general, shaken the familial fabric of the country. Some 38 million civilians had changed addresses a total of sixty million times. Despite the break-up of many marriages under the strain of war, most people wanted a return to the security of family life. There were more than 400,000 weddings in 1947 and 881,000 babies were born, the beginning of the ‘boom’ that would reshape British life in the decades ahead. In all, a million extra children were added to the population in the five years after the war. Since there were not nearly enough individual homes to go round, hundreds of thousands of young people found themselves living with their parents or in-laws, deprived of privacy and trapped in inter-generational conflict. It was, in positive terms, a time when people were prepared to live more communally than would be the case later. Wartime queuing had revived a kind of street culture which lingered among women, as they spent hours standing together. Cinemas and dance halls continued to be crammed with people trying to escape the cold of their homes which as yet had no television (only 0.2 per cent of the population owned a television in 1947) or central heating, and not much by way of lighting. People really were in real austerity together, managing without much privacy and with the ongoing effects of wartime requisitioning, evacuation and the direction of labour, lodging in unfamiliar rooms. The sharing of toilets and kitchens in the late forties was therefore just a continuation of conditions they were already used to, like the meagre food and dreary clothing. The most dramatic government response was the factory-made instant housing, the ‘prefabs’. Although designed only for a few years’ use, many of them were still lived in forty or more years later. Between 1945 and 1949, under the Temporary Housing Programme, a total of 156,623 prefabs went up, a welcome start in the provision of mass housing. They were more than huts, but a prototype bungalow, with a cooker, sink, fridge, bath, boiler and fitted cupboards. It cost fractionally more than a traditional brick-built terraced house, it weighed a fraction of the latter and was prefabricated in former aircraft factories using a fraction of the resources, then unloaded and screwed together on a concrete plinth, ready for families to move into within days. They were all weatherproof, warm and well-lit. The future Labour leader Neil Kinnock lived in one, an Arcon V, from 1947 to 1961, and remembered the fitted fridge and bathroom causing much jealousy among those still living in unmodernised colliers’ terraces in the south Wales valleys: Friends and family came to view the wonders. It seemed like living in a spaceship. They came to be regarded as better than bog standard council housing. Communities developed on prefab estates which survived cheerfully well into the seventies; I remember visiting these, homes to many of my teenage friends at that time. The British Housewives’ League, formed in 1945 by a clergyman’s wife to campaign against rude shopkeepers and the amount of time spent queuing, helped remove the hapless food minister Ben Smith over the withdrawal of powdered egg. Other foods brought into the country and foisted on consumers were regarded as disgusting. Horses were butchered and sold, sometimes merely as ‘steak’. Whalemeat was brought from South Africa, both in huge slabs and in tins, described as rich and tasty, just like beefsteak. It was relatively popular for a short while, but not long, because it had a strong after-taste of cod-liver oil. Then there was snoek, a ferocious tropical fish supposed to be able to hiss like a snake and bark like a dog. The young Barbara Castle was then working for the fish division of the Ministry of Food. She was quartered at the Carlton Hotel, which had generously sized baths which she filled with the fish, which she observed for experimental purposes. Her report on its behaviour must have been favourable because in October 1947 the government began to buy millions of tins of snoek from South Africa. So ministers tried to persuade the British people that, in salads, pasties, sandwiches or even as ‘snoek piquant’, the bland-tasting fish was really quite tasty. The people begged to differ and mocked it mercilessly, buying very little. Eventually it was withdrawn from grocers and sold off for almost nothing as cat-food. The Labour government’s attempts to import alternative sources of protein became a great joke in newspapers and in Parliament. The Conservatives put out pamphlets showing pictures of a horse, a whale and a reindeer to show the wide choice of food you have under the Socialists. Labour tried hard to keep the country decently fed during the forties when most of the world was at least as hungry. But between the black market organised by ‘spivs’, the British Housewives’ League, whose rhetoric influenced a young student called Margaret Thatcher, and the spontaneous uprising against the snoek, the public was becoming fed up to the back teeth with rationing. From 1948, Labour ministers began to remove the restrictions and restore something like a free market in food. It also took a long time for British clothes to brighten up. Well into my childhood in the sixties, children were still wearing baggy grey trousers and home-knitted jumpers throughout the week and all year-long. Our fathers were still dressing in heavy grey suits, with macs and hats, and older women still wore housecoats and hairnets. However, younger women did try to dress more fashionably. One of the women who attended the unveiling of Christian Dior’s New Look in London in 1947 said that she heard for the first time in her life, the sound of a petticoat, realising at once that, at long last, the war was really over. However, the British Guild of Creative Designers complained that they did not have the materials to compete or keep up with French frippery. Yet from the young princesses downwards, women were ignoring matronly MPs like Bessie Braddock and doing everything they could to alter, buy or borrow to achieve the Dior look. Clothing became a powerful symbol of a return to the prosperity of the 1930s for many women, if not men. The Holidays with Pay Act, passed shortly before the outbreak of war, was another postponed pleasure, but few workers could afford to travel abroad for these in 1947. For one thing, total time on holiday was limited to a fortnight in total. For another, the amount of money a person could take out of the country was severely restricted. Just over three per cent of people holidayed abroad, the vast majority being wealthy. Few of these went further than Northern France or the Riviera. They didn’t drive around the British countryside, as they had done in the thirties. Nonetheless, in 1947 slightly over half the British did take some kind of holiday. Many took the train to one of the traditional Victorian-era seaside resorts, soon bursting with customers. Others went on cycling or camping expeditions, since the roads were almost entirely empty of traffic. Yet more began to take the ‘charabanc’ or train to one of the new holiday camps, run by such entrepreneurs of leisure as Billy Butlin. He opened his first at Skegness in Lincolnshire in 1936, and by 1947 he had become a millionaire. To begin with, he was targeting the middle classes as much as the better-off workers. Opera singers, Shakespearean actors, radio stars, sporting heroes, politicians, archbishops and royalty were all invited to his camps, and came. Although Butlin had his fingers burnt with an attempt to open a Caribbean camp in 1948, for millions of British people the camps remained a synonym for a summer holiday well into the age of cheap overseas tourism in the 1970s. On reflection, and with the benefit of seventy years of hindsight, 1945-1947 was not the best time to set about building a new socialist Jerusalem. Most attempts at forced modernisation quickly collapsed. The direction of factories to the depressed areas brought few long-term benefits to those areas. Companies encouraged to export at all costs were unable to re-equip and prepare themselves for tougher markets ahead. Inflation, a major part of Britain’s post-war narrative, appeared as an economic factor for the first time by the end of the forties. Again and again, Britain’s deep dependency on the United States was simply underestimated by the politicians. Harold Wilson, for example, slapped import duty on Hollywood films in 1947, when the sterling crisis made saving dollars a priority. The Americans responded by simply boycotting Britain, a devastating measure for a population so reliant on film as its only real means of mass entertainment. Some wonderful British films were made to fill the gap, but already glamour was something that came from the Pacific coast. Could Labour’s 1945 dream of a socialist commonwealth, high-minded and patriotic, standing aside from American consumerism, still be built on Britain’s grey and muddy land? The reality was not only that she was dependent on her transatlantic cousins, but also upon an Empire which, paradoxically, she was having to let go, at least in piecemeal fashion. India and Pakistan had become independent on 15 August 1947, ten months ahead of Attlee’s original schedule. Lord Mountbatten, the last Viceroy, had arrived in Delhi on 22 March. He appealed to everyone to do their best to avoid any word or action which might lead to further communal bitterness or add to the toll of innocent victims. He soon decided that the June 1948 transfer date was too late, as the communal rioting had reached a state of which he had no conception when he left England. In making this decision, he was also indulging his lifelong fondness for acceleration. It seemed to him that a decision had to be taken at the earliest possible moment unless there was to be risk of a general conflagration throughout the whole sub-continent. He had a remarkably careful yet quick and businesslike method of working. As soon as he finished an interview with a leader, and before proceeding to the next, he would dictate a résumé of the talk, a copy of which would be circulated to each member of his staff. He held staff conferences every day, sometimes twice and even thrice a day, to study and discuss how events were shaping. Consultation with the Governors certainly gave him a good idea of the colossal administrative difficulties involved in a transfer of power based on partition. Within six weeks of his arrival Mountbatten had produced a plan which marked the first stage towards the transfer. In all his discussions with party leaders and others, despite their divergent views, which he was forced to adjust and reconcile, there was nowhere any evidence of an attempt to question either his own impartiality or the bona fides of His Majesty’s Government. The greater the insistence by Jinnah, the Muslim League leader, on his province-wide Pakistan, the stronger was the Congress demand that he should not be allowed to carry unwilling minorities with him. In your first Prime Minister, Pandit Jawaharlal Nehru, you have a world-renowned leader of courage and vision. His trust and friendship have helped me beyond measure in my task. Under his able guidance, assisted by the colleagues whom he has selected… India will now attain a position of strength and influence and take her rightful place in the comity of nations. It would have been an ideal arrangement if Mountbatten had been able to continue as Governor-General of both Dominions. But even as General-Governor of India, he could still be of immense service. It was his personality that had helped to bring about some measure of common action and had prevented a bad situation from getting worse. His presence would be of great help in solving the problem of the Indian States. It would also have a reassuring effect on serving British officers, particularly in the Armed Forces, where their retention for at least some time was indispensable. The communal rioting and the two-way exodus of refugees provided the Government of India with a task which was so stupendous as any nation ever had to face. If in its initial stages the situation had not been controlled with determination and vigour, the consequences would have brought down the Government itself. It is to the eternal credit of Lord Mountbatten that he agreed to take over the helm of responsibility at that critical stage, and it redounds to the statesmanship of Nehru that he unhesitatingly and confidently offered it to him. According to V P Menon, the Constitutional Adviser to the Governor-General from 1942 to 1947, reflected in 1957 that the main factor in the early transfer of power was the return of the Labour Party to government in 1945. The Attlee Government’s decision to quit India not only touched the hearts and stirred the emotions of Indians, he argued, it also produced an immediate reassuring effect on the whole of South-East Asia and earned Britain universal respect and goodwill in the region. India and Pakistan both chose to remain in the Commonwealth and this was taken by a demoralised Britain as a tacit but welcome vote of thanks. Burma followed on India’s heels into the ranks of newly independent nations in January 1948, and Ceylon (Sri Lanka) in February. Both of them had far too much independence already for the full version to be denied to them. Ceylon remained in the Commonwealth, but Burma did not. The first stage of Britain’s decolonisation came to an end there, with the letting go of what, after the war in the East, just could not be held. When you are in a place where you are not wanted, and where you have not got the force to squash those who don’t want you, the only thing to do is to come out. This had its disadvantages. In their haste to get shot of India, they left behind a chaos that almost undid two centuries of orderly government. For those colonies in other parts of Britain’s global empire who wished to pursue India to independence, it was not simply a matter of following along a path beaten flat by her. The hurdles she had knocked down Britain erected again for the others. To become free, they would need to fight. What was chiefly standing in their way was their value to an all but bankrupt Britain. That value was not quite what it had been, but Britain had plummeted quite disastrously in the world’s league table of great economic powers. She no longer had a significant surplus to send abroad. In 1900, she was responsible for a third of the world’s exports in manufactured goods. Sixty years later this share had declined to 18 per cent. Just before the war the empire had accounted for 40% of her imports and 49% of her exports. After the war the imperial proportion of what trade she had left was even greater. Between 1946 and 1949 it accounted for 48 per cent of imports and 58 per cent of exports. It followed that Britain’s political interests in the world were not so very different either, though her capacity to safeguard them may have been. Britain still had stakes in certain parts of the world, like Africa and south-east Asia, where security or stability seemed to depend upon her maintaining a political presence there, or nearby. In addition, these stakes and all Britain’s others in more reliable parts of the world, like North America and Oceania, together made up a network of interests which was thought to require continued political presences elsewhere to safeguard it; forts and garrisons at strategic points to protect the traffic between Britain and the world. For a colonial people ambitious to be free, either of these interests, or both, would continue to present a considerable obstacle to their independence. In the years after the war African nationalism sprang very suddenly and very rapidly into full growth. Out of the plethora of welfare associations, tribal associations, community leagues, friendly societies, youth movements, trade unions and all the other vehicles for African discontent which had proliferated before the war, there arose in the 1940s most of the main colony-wide movements for national liberation which took the battle to Britain in the 1950s, and most of their leaders. They took encouragement from India, and from the general tide of world opinion at the time which seemed to be swimming with them. Very early after the war they showed their teeth. There was a six-week general strike in Nigeria in 1945, and another one in the Sudan in 1947. The British could not afford to ignore these events, claiming that the nationalists were trying to push things too fast, to achieve in one jump what the government claimed to be preparing them for in easy stages, and far in advance of the bulk of the people they professed to represent. Some in Britain resisted the nationalists because they resisted the whole idea of colonial independence. But for many of those who did not, who had reconciled themselves to losing Africa, it was still to be some years before they would accept the ‘extreme’ nationalists, the ‘power-seekers’, as their ‘proper successors’. The fundamental objectives in Africa are to foster the emergence of large-scale societies, integrated for self-government by effective and democratic political and economic institutions both natural and local, inspired by a common faith in progress and Western values and equipped with efficient techniques of production and betterment. There was a new Colonial Development Corporation and an Overseas Food Corporation, and marvellous-sounding schemes for growing groundnuts in Tanganyika and producing eggs in the Gambia. The Crown Agents travelled the world, selling old British trains and boats to any colonial government that could pay and some that could not. There were ambitious plans for the federation of West Indian colonies; of East Africa; of the Rhodesias and Nyasaland; of Malaya, Singapore, Sarawak and Borneo. There was even talk of a new building for the Colonial Office. The old Empire meanwhile continued to attract a steady stream of migrants: from 1946 until 1963 four out of every five emigrants leaving Britain by sea were headed for Commonwealth countries. … the British Commonwealth and Empire is not a that can be defended by itself… The conditions which made it possible to defend a string of possessions scattered over five continents by means of a fleet based on island fortresses have gone. Western Europe, including its dependent overseas territories, is now patently dependent on American aid… The United States recognises that the United Kingdom and the Commonwealth… are essential to her defence and security. Already it is… a case of partial inter-dependence rather than of complete dependence. As time goes by (in the next ten to twenty years) the elements of dependence ought to diminish and those of inter-dependence to increase. Of course, within that next decade, the Suez crisis was to reveal that the fundamental American hostility towards the Empire lingered on and the facade of neo-imperial power collapsed. Richard Brown & Christopher Daniels (1982), Documents and Debates: Twentieth Century Britain. Basingstoke: MacMillan. Niall Ferguson (2003), Empire: How Britain Made the Modern World. Harmondsworth: Penguin. Michael Clark & Peter Teed (1972), Portraits & Documents: The Twentieth Century, 1906-1960. London: Hutchinson. Bernard Porter (1984), The Lion’s Share: A Short History of British Imperialism, 1850-1983. London: Longman. Andrew Marr (2007), A History of Modern Britain. Basingstoke: MacMillan-Pan.